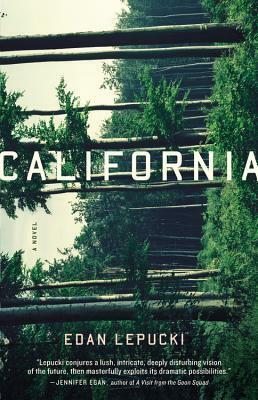 Unlike most post-apocalyptic novels, the world doesn’t end with one big disaster in Edan Lepucki’s new novel California, it ends with many. A poor economy, numerous natural disasters, weak government and poor resource management collide to crumble society as we know it. Desperate to escape an increasingly dangerous and desolate Los Angeles, Cal and Frida retreat to the woods, eking out a meager and comfortless existence. Despite their isolation and difficult existence, they find relative happiness. This foundation is shaken when Frida discovers that she is pregnant. Faced with impending parenthood, the couple seeks civilization to facilitate raising their child. The description Lepucki gives about the end of society is probably the most realistic I’ve read. The world she creates is compelling. The book does have some flaws. The revelations that come about, particularly towards the end, feel conveniently timed. I also didn’t find the ending satisfying. Overall, there is a lot to enjoy in this book. For fans of dystopian sci-fi, this is a solid vacation read.